As you know, Susan and I are all about helping moms online. So, when I read over at Adventures in Babywearing that Kristin at Motherhood Uncensored (please note: Kristin’s site is great – but uncensored) has started Blog the Recession to encourage readers to help increase bloggers’ page views this month, I knew I had to jump in and spread the word. Cause hey – we can all use some help these days! “The premise is simple. If you read blogs, then for the month of August, make the “pledge” to click through from your feed reader. No obligation to leave a hilarious comment or send a long stalkerish email (although both, within reason, are always lovely). Just click through to the blog (not on ads unless you are so led) and if you’re feeling generous, click around to their older posts. Sounds like a great plan to me. Susan and I always try to click through to sites – and to linger and hop around a bit while we are there. Every click helps. Thanks for the great idea Kristin! Have you checked out the photos? Blogging the recession, finally making it to the top of the list! I started at the bottom. Hi! Just Blogging the Recession! Just stopping by to say Hi to another BTR site. I just got mine up and running I think it is a great idea. Just signed by blog up today. It is such a fabulous idea and we get to meet other amazing people in the bloggy world through it while helping out. I have renewed my commitment to a little time each day visiting my bloggy friends – just when we need it most, here comes Motherhood Uncensored to give us all a boost! Thanks! I’m going to sign up my blog and…look! I’m not just reading, I’m commenting and clicking! Thanks for promoting this. I found you through Kristin’s site and before posting about it, I thought I’d go through and comment on all the blogs she listed, as well as those who left comments! So I’m in!!! That is a great idea! I also read about this in Adventures In Babywearing. This will also help fellow bloggers get to know one another better. Another thing that I am doing which I think will also help is I’m updating my reader every day with new interesting blogs. Most of them are written by great Mommy Bloggers. Of course I am visiting them , clicking through their posts and reading and commenting. Everyone should always do that. 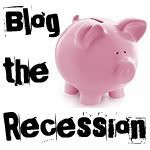 I’ll have to post a bit about “Blogging the Recession” on my blog. It is a great idea! thankyou! we signed up and told our readers too! And I assume the clicking thru is to increase traffic and page views so advertisers want to spend their money on your blog? I like the premise and hope it works. Good info. I never read through a feedreader. It just doesn’t feel the same to me. Before my husband left his job in Oct 07, I felt like I had time to visit others and try to network. The crash of the financial responsibilities on my shoulders quickly took that away from me. But in truth one excuse is just as good as the next – as I like to tell my children ;). So this is my “excuse” to get back into the swing of things. I’m determined to visit old favorites and new blogs every day – even if it’s just for a quick view and a few minutes each day. Call it my coffee break! Thanks for this idea – it truly is an inspired way to help out fellow bloggers everywhere. Just one thing to add, you might want to check out a blog or two in the bloglinks of your favorite sites – you never know what you might stumble across (or maybe click on the sites of some of the comments as well). Take this challenge to the next level! Hi! You ask that we “click through from our feed reader” – this sounds like a great idea, except I’m not sure exactly how that works. I hope that doesn’t sound dumb to anyone – I blog occasionally and so I’m learning as I go. Could someone explain that to me or send me a link to where I can read up on it? I appreciate it. I would like to do my part in helping other mom bloggers in any way I can, but I want to make sure I’m following the correct procedure! THANKS and GOD BLESS! Great idea! I have a lot of blogs I read through Google Reader but rarely click through or leave comments. I’ll try to do that this month! It sounds like there is a great response so far- yay! Think it’s a reat way to meet new people! and to keep in touch!